Seller offering $3000 for closing or decorating allowance.Don't miss this spacious & bright brick front townhome w/ a one car garage and over 2300 sq ft of great space for you to enjoy. Featuring a 2 story foyer, 3 finished levels, 3 bedrooms, 3.5 baths, a Huge Kitchen w/island & breakfast bar. The Master suite is large, boasting a vaulted ceiling, a roomy walk-in closet, a beautiful master bath with a huge soaking tub and separate shower. French doors in the kitchen lead to great deck for entertaining. 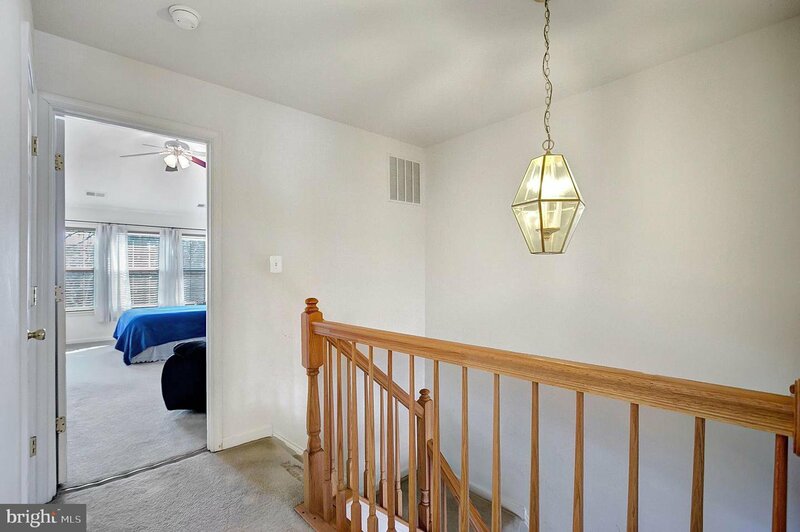 Lower level features a large rec room w/cozy gas fireplace. All new flooring on the lower level. The front load washer & dryer convey. Note recent upgrades/improvements: New Roof (November 2018), New flooring in the foyer, rec room and laundry room, new garbage disposal, upgraded smooth top range oven, new range hood w/fan, All new half bath (new sink & toilet). It's ready for your finishing touches. Needs some carpet & paint. Super location. Walk to The Lake Ridge Marina & Golf park, or walk directly across the street to shopping, a private gym, restaurants & more. Listing courtesy of Wanzer Elite Realty. Selling Office: .